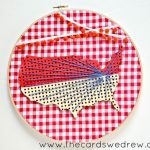 When I was at the Plaid Crafts Headquarters in Atlanta in June I got to do one of my FAVORITE crafting projects to date! I was taught how to “Dirty Pour” with acrylic paint. The idea is really easy, but there is an art to this, so I encourage you to practice a few times before doing anything large or expensive. 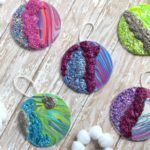 But for starters, I’d suggest starting with an acrylic paint like this Apple Barrel® Multi-Surface Satin Acrylic Paint KIT from Plaid Crafts! 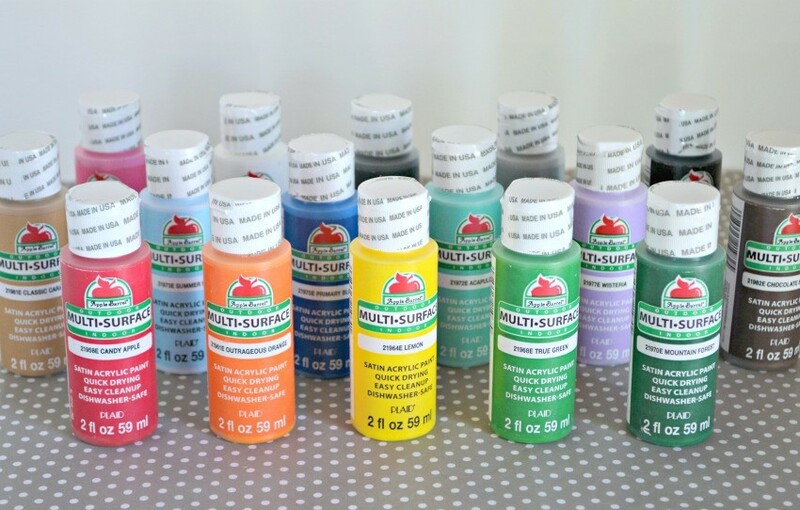 It contains SIXTEEN Apple Barrel Paints for just $19.99, which is 25% off retail. This will give you all the basic colors you need to do and practice the art of the “Dirty Pour”. Check out my Facebook Page for a full video on the “pour” for this project (it’s pretty cool!). 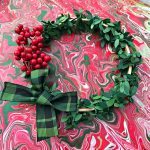 Start with your Apple Barrel® Multi-Surface Satin Acrylic Paint Kit and select the three colors you wish to use for this project. 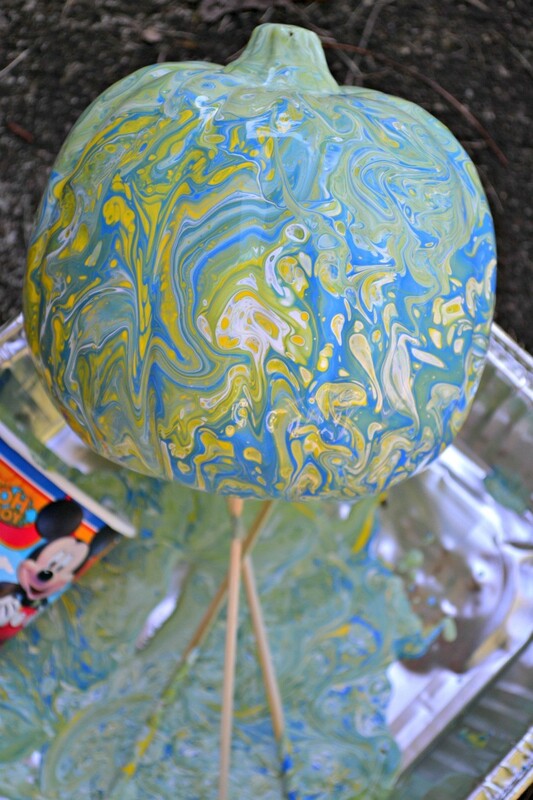 I ended up using about 1/2-3/4 of each bottle I used and I went with Royal Blue, White, and Yellow for this project. 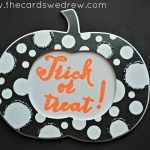 I want to give the pumpkin to my son’s teacher for his desk, so I used school colors. Next, I went outside on my back walkway to do this project. It’s MESSY you guys. So either be prepared with a plastic tablecloth and newspaper inside or just do this outside. 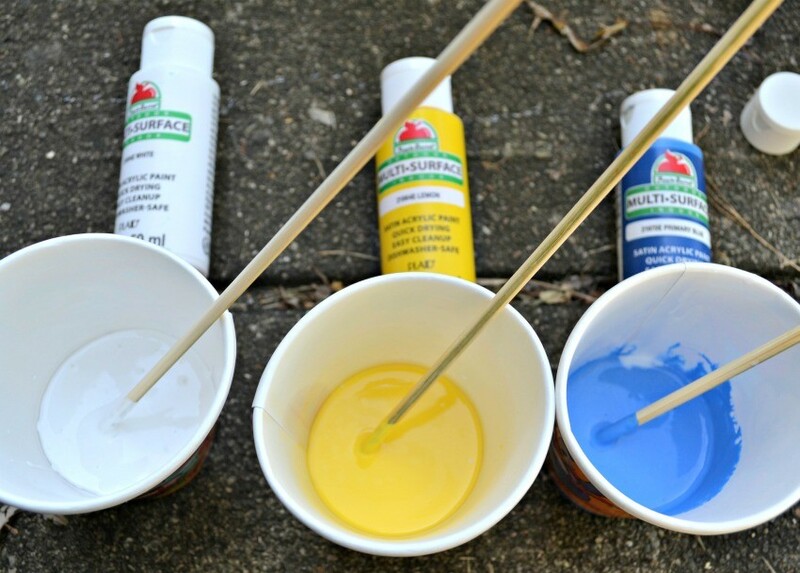 Get four cups ready, you’ll put paint in three and set one aside to combine all the paint. Start by pouring FolkArt Glazing Medium into each cup. Use about one tablespoon of medium in each cup. 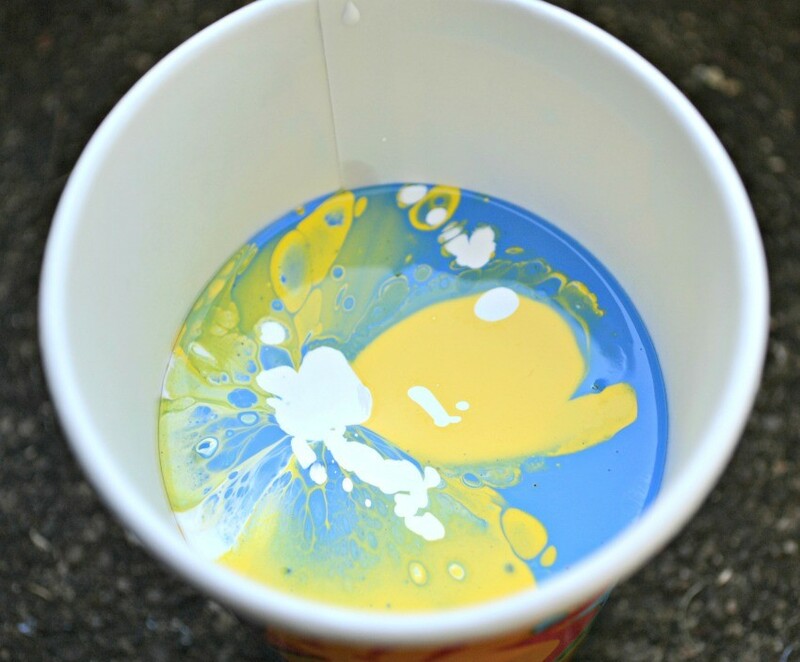 Next, add about 1/2 the bottle of paint into each cup, so you’ll have three cups full of paint. Next, in one cup pour the thinner, in another use the Tire Wet, and in another use the ArmorAll (amounts listed above in instructions). Then use a dowel rod and stir each cup well. The paint should run fairly easily, so if it’s too thick, add more glazing medium. Then prepare your pumpkin. 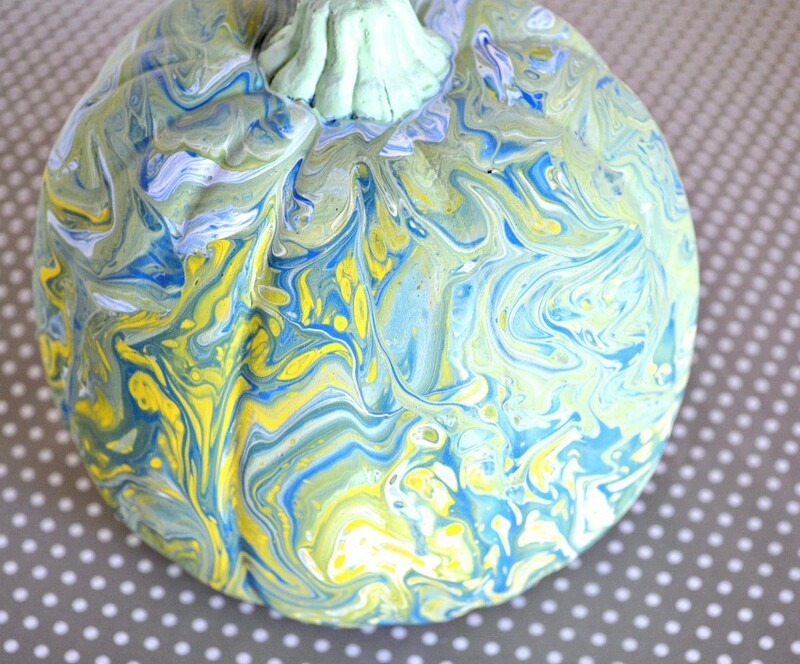 I stuck a dowel rod up through the bottom and then poured the paint over top of my pumpkin, gently spinning the pumpkin as I went to spread the paint evenly across. 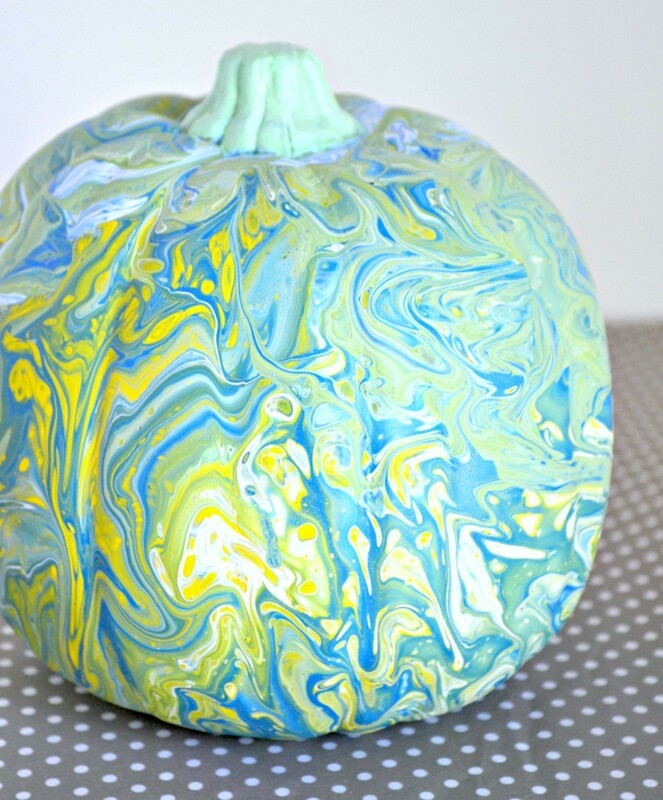 The paint creates a great marbled look. You can even gently reuse the paint at the bottom of your pan if you’re running low. 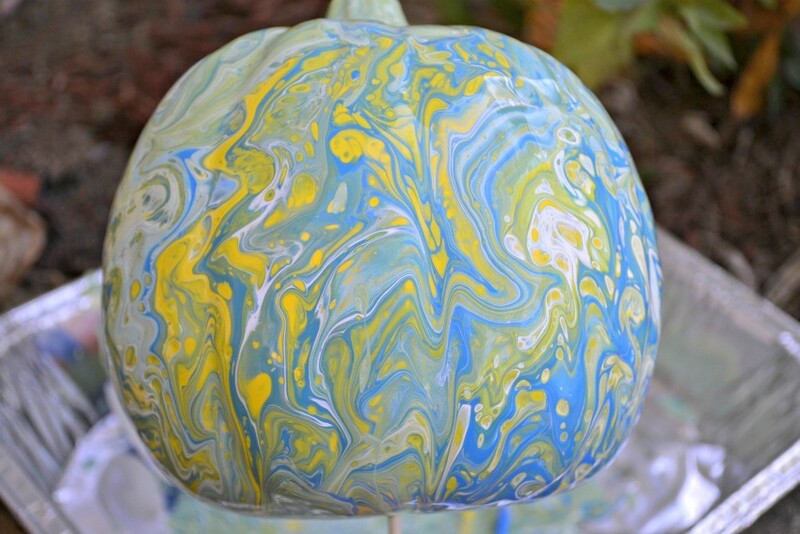 Once you get the desired look, use your dowel rods to let your pumpkin drip dry. I let mine dry for 24 hours, then painted the stem light green to match the pumpkin. Think of all the FUN color combinations you can dirty pour with the 16 piece Apple Barrel Kit...all that fun for $19.99! Never mind! I just tried reloading. These are super adorable!! !